The opening paragraph of reception of nonferrous metals – it is quite profitable. The crisis of this segment of the market is practically not affected, so it is much more stable than, for example, on the market of ferrous metals. If you decide to open the item reception of nonferrous metals, we note that this type of business in our country is not registered, and therefore you can call it illegal. Although the majority of workers in this case refer to it as a completely legal activity. The undoubted advantage of business related to reception of non-ferrous metals is the lack of seasonality and stagnation. The money is always needed, so they will carry you metal at any time of the year. 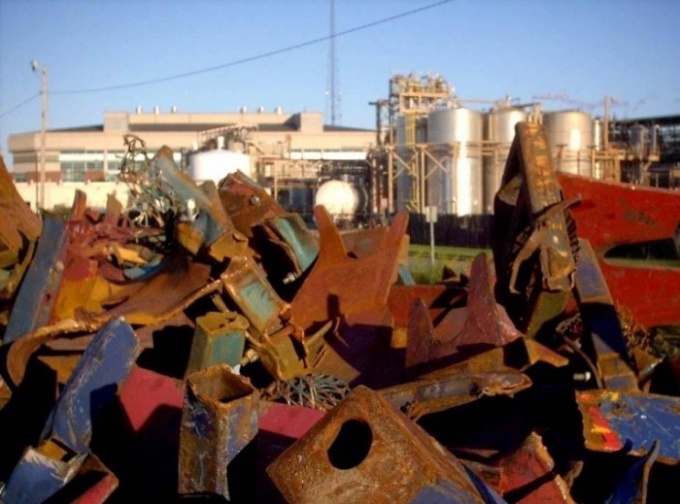 To open the point of reception of non-ferrous scrap metal is better in a large city. But it happens that in small towns of the item's scrap pass no less. In addition, the opening paragraph of the reception in a small town will allow you to take the scrap at a lower price, and hence earn more. Profitable to open a point of reception of non-ferrous scrap in the village, where there is sea or river port. There are often open wholesale items as metal tinkering machines. As for the staff, you will have to hire at least two people. One of them will accept scrap metal weights, and the second is to disassemble complex structures. The salary of each worker can make about $ 100 a week. However, it should be noted that this is only the official part of the income. The remainder workers will easily get underweight. Despite the complexity and the need to work at night, and at this time of day seems a large metal part, the staff is very fast. After all, with good alignment, the processors can get up to $ 300 a week. For receiving non-ferrous scrap metal you will need a dial scale with weights. They will cost you about $ 300. In order to save you can buy scales that were in operation. The size classification of the accommodation shall be not less than 20 square meters, so you can place the scrap. Think about where to take scrap accepted and at what price. Because this will directly impact your profit.